This even is now cancelled! The Six Perfections are the best summary of the Mahayana Path from many different points of view. They are the best way to put into our daily life something so vast it seems impossible to practice. The Six Perfections are not difficult to recognise: How to give, Ethics, Patience, Perseverance, Concentration and Wisdom. 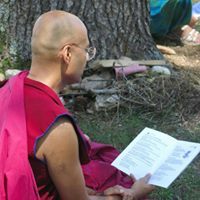 If we understand what practices are included in each Perfection, their function, requirements, benefits and results, we will understand the entire Mahayana Path. Our understanding will lead us to desire to practice the Perfections and we will be happy to make a special effort to actually do so. By doing these practices we will complete the Mahayana Path. ​The weekend will include both teachings, meditations and prayers. ​Venerable Tenzin Gendun is from Shri Lankan origin, and grew up in the UK. 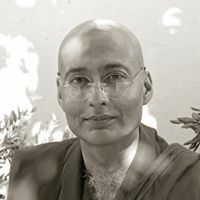 He lives at Nalanda Monastery since 2000 to study and practice, and he successfully completed the Basic Programme, an in-depth study of the Dharma. He met the Dharma in Dharmsala, and received ordination in 1992 from His Holiness the Dalai Lama. Kyabje Lama Zopa Rinpoche asked him to support the FPMT centres in New Zealand, where he stayed for seven years. He is currently half way through the excellent Masters Programme. He is well know for his extra-ordinary kindness, and his profound love for the Dharma.